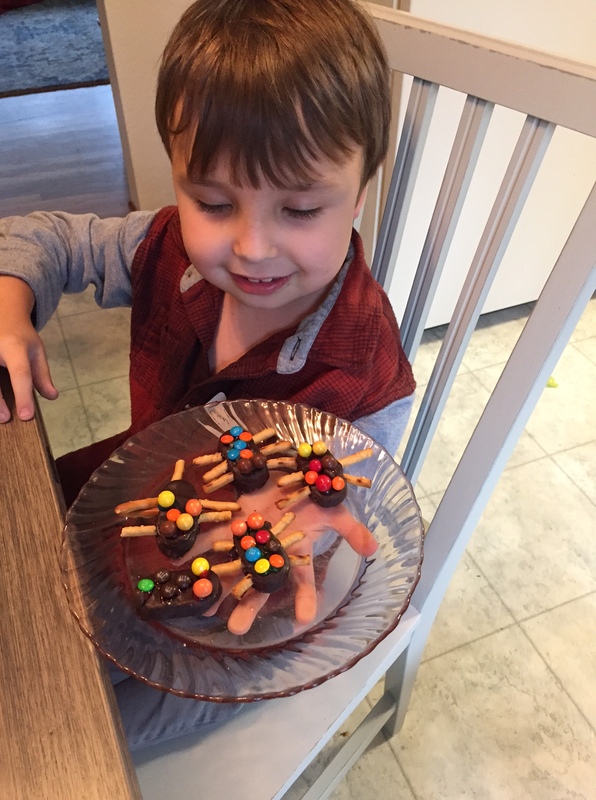 I found the cutest “bug” recipe on Taste of Home.com–it’s called “Mounds of Bugs” and made a great project for Jake. I really wanted to do this project with him, but did not want to break the bank. I bought 1 bag of Mounds mini candy bars, and did not use them all. I bought a few Six-let candies and M and M candies from the bulk section at Win-Co, instead of bags of each. 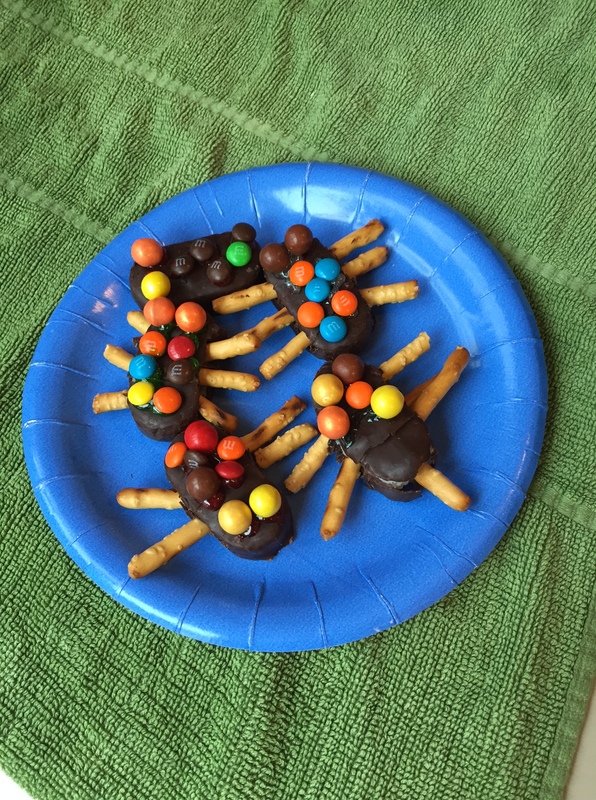 Instead of the curved pretzels called for in the recipe, I used some stick pretzels I had already instead of buying the curved ones called for in the recipe. 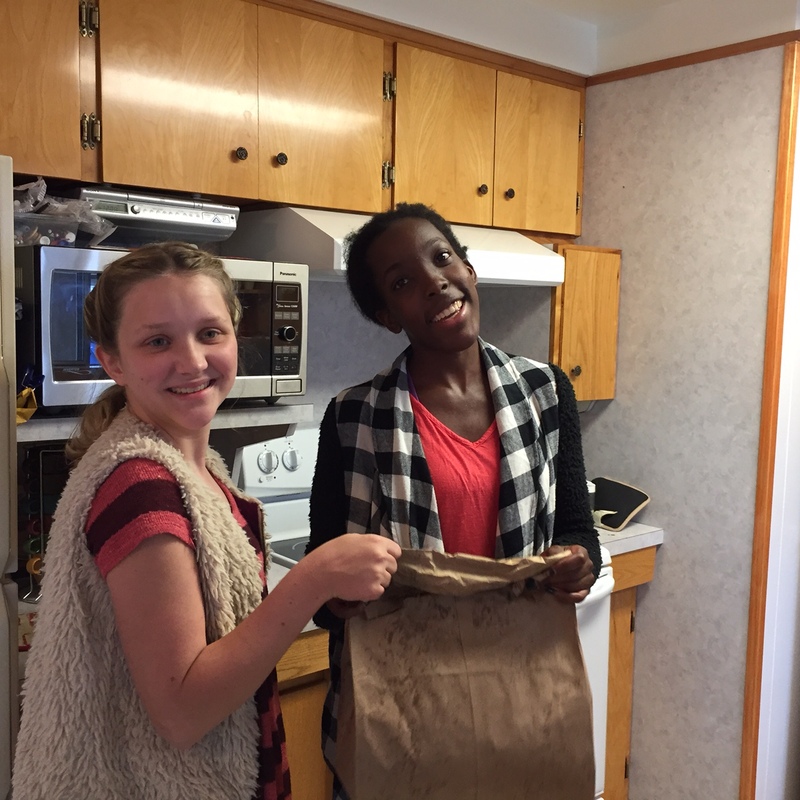 Ja’Ana and Alissa spent Thursday afternoon making caramel corn for the 4H bake sale. Patsy, J and A all went to the event on Saturday, and helped sell the baked goods from many clubbers around the county. While they were there, they made Chex Muddy Buddies to help the wonderful smells to fill the hall, then sold the Muddy Buddies. The money helps buy ribbons and other supplies during the fair, and some other great uses. I felt great about our contribution. Everything the girls took sold, and they were able to raise almost $60 just on what they brought. I don’t know how much was made, but I was told it can top $1,000 and sometimes reach $2,000. I was amazed. It was a great start to our 4H year. They worked hard in the wind and the rain, and I treated them to the $5 lunch at Dairy Queen afterwards. I don’t know why, but our family usually gravitates to DQ for casual special occasions. I think it must be the ice cream–we love it! I finally went shopping. I spent a bunch, but stayed in budget. I’m really stocked up on lunch supplies, veggies, etc. Now that Rob is working, we run out of lunch meat sooner than before. That’s a great reason to have to buy more! Even though school lunches aren’t very expensive, we save money each time he packs one instead of buying one. I took the cousins and my kids to the YMCA to swim on Friday, as no one had school. The director of membership had graciously let us put the cousins on our account when we signed up because Rob told him they were with us so much, so all the kids got in with the membership. Alissa brought a friend, and I was fully prepared to pay for her, but they said she could be our guest that day. Wow! They had fun! I did too. It was fun to use my old van to its full potential. When Jake was trying to negotiate his way to McD’s, I ran into Safeway and bought granola bars and Capri Suns for the kids to eat and not “starve to death” before we went to my house, saving a bundle. I figured that with 8 people, it would be between $45 and $60 to eat lunch that way. I am happy to report that they all survived until they got to my house and ate! We have been sleeping on a pair of old sheets since the move. The same pair. And it ripped in 2 places because it is so old. BUT, we knew we had more in the shop. AND, we knew we had seen them. We could not find them and became stubborn and would not go buy more. Just because. So, we were sleeping in torn sheets. Pretty sad. Rob spent a couple of hours going through bins this afternoon and….drum roll, please….he found them! So, it’s sleeping in the lap of luxury tonight. Our electric bill is much, much lower than it was at our old house, probably due to the reduction in size. Our camper has been repaired, under warranty, and we now have a new air conditioner. Despite a huge rain/wind storm, Rob was able to move it back to my sister’s farm before it got too windy. We’ve built a fire a few times, now. I’m looking at another rainy, cozy week here this week. Bring on the homeschool. It’s time to teach those girls how to make soup and they are going to cut out their aprons. It will be a great week. 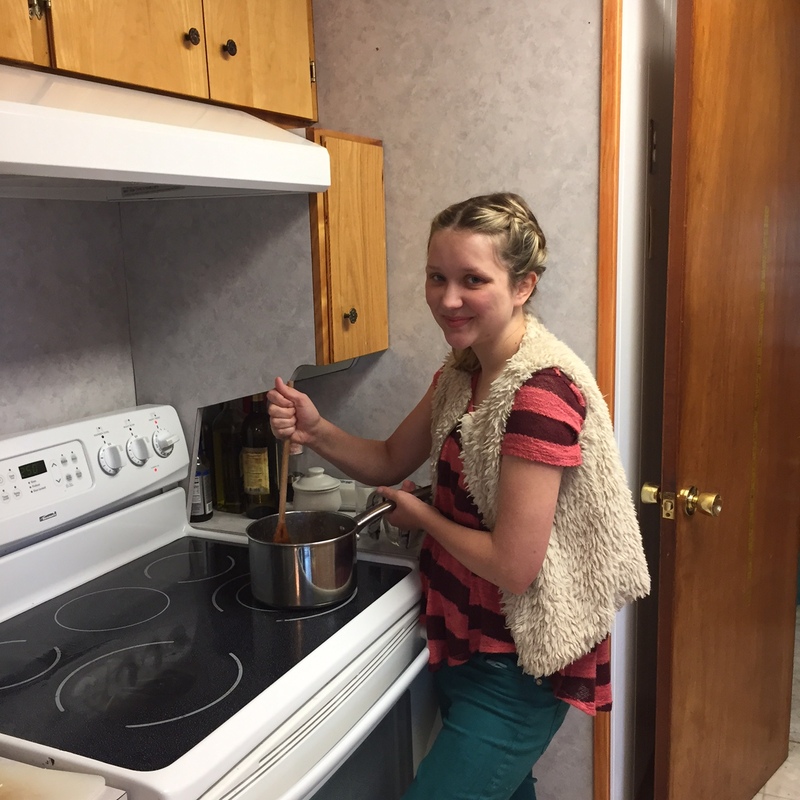 You had a great week- lots of frugal successes! I get up early each morning and make breakfast and work/school lunches for my husband and the kids and I am always thankful that they eat whatever I put in there and don’t have any desire to buy lunches from eateries or cafeterias. It really saves us a lot of money. That’s funny. I’m glad to know we aren’t the only ones who get stubborn. Sounds like you had a great week, too. Thank you so much. Yesterday was a good day. Perhaps everyone (him and kids) are settling a bit. Please continue the prayers. We appreciate them so much.